Incredible Unique hard to find Gated Compound on 1.09 Acres in Town with Unbelievable Forever Lake Views. 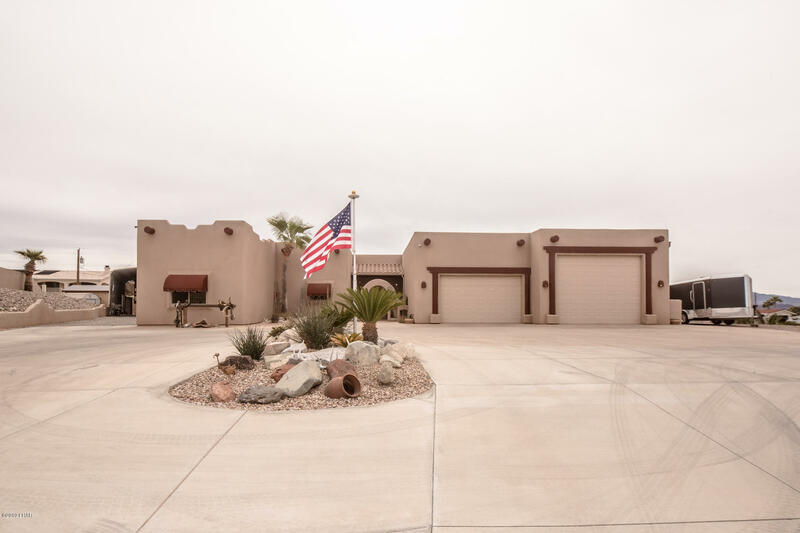 2 RV Parking with All hookup, Private Office in Garage, Relax in the Grato under the Waterfall in the pool of the Amazing Sunsets. Home Meticulously Though-out with an Open Floor plan and Gourmet Kitchen. ONE of a KIND Home in the Center of Town Close to Schools and Shopping.This is a MUST See Home with all the Features Galore Makes it a Pure Pleasure Life Style. Directions: N Acoma up Smoketree Right on N. Cisco Drive Flag Lot.